Ever thought of visiting Saint Paul’s Abbey in Lavanttal, Carinthia? You should. If coming from Lower Austria to the north, and driving via the Packsattel pass, you can definitely draw “a different breath of fresh air” beyond. 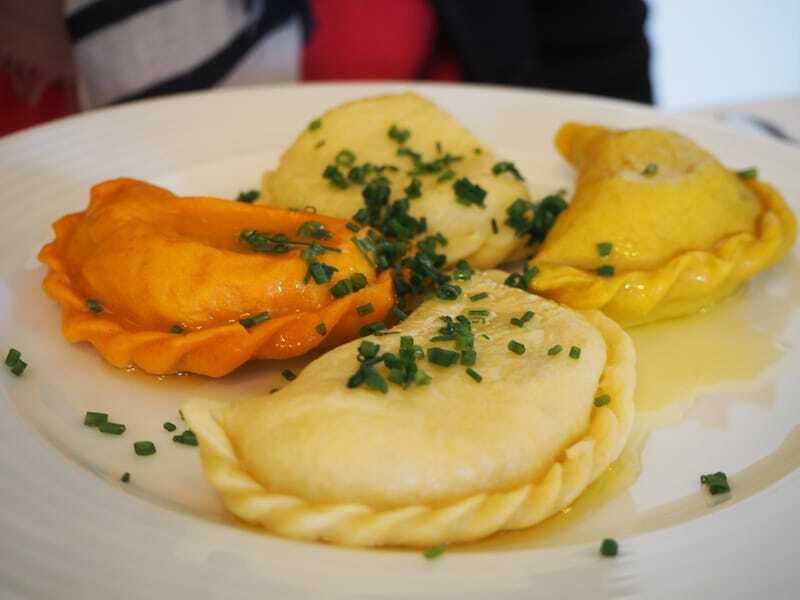 Carinthia, the south of Austria, feels just different, more “southern” already! It’s what Pater Maximilian must have thought, as he “applied” to be taken from his original Benedictine abbey of Göttweig near Krems, Lower Austria, to the local Benedictine Abbey of Saint Paul in Lavanttal, Carinthia. 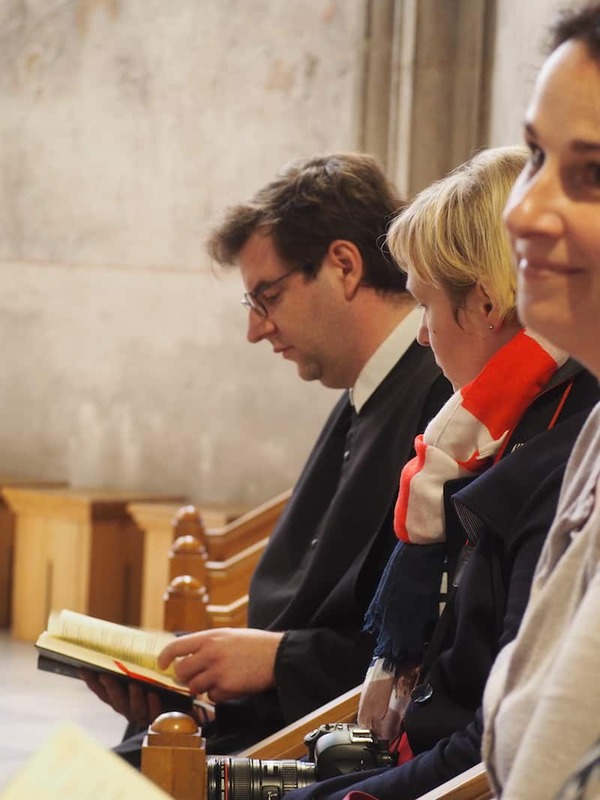 “I enjoy being here very much”, he says, being one out of ten Fratres at the Benedictine convent of Saint Paul Abbey. “Ever since Pater Maximilan is here, we have seen a lot more guests arrive, and enjoy a genuine sense of openness”, another Frater tells me during our communal dinnertime. 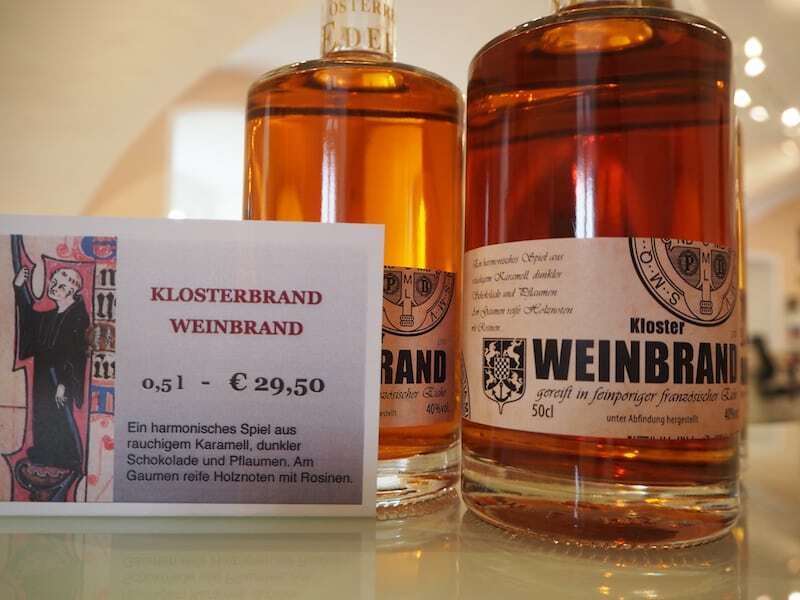 Staying at the abbey, living and eating with the monks, is by no way having to share a life in scarcity: The monks spoil us to their own wine (which is grown in Slovenia), offer us local smoked trout as well as typical delicacies from Carinthia, such as the “Kärntner Kasnudl”. We are definitely very positively surprise as to how well guests are treated here! So how to imagine such a welcome monastery retreat? 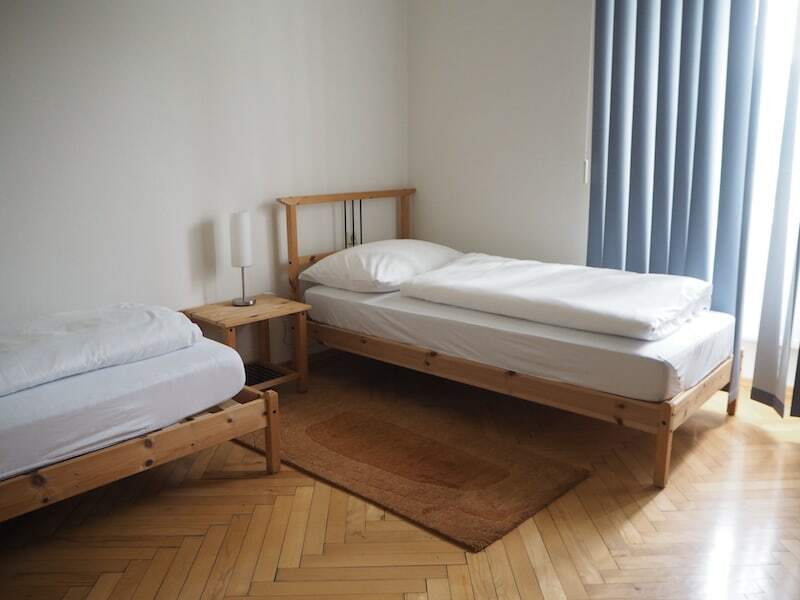 I have already shared some of my personal experiences regarding this type of travel with you here, such as visiting Saint Lambrecht Abbey in Styria, the Abbey of Melk or the Abbeys Kremsmünster & Saint Florian in Upper Austria. 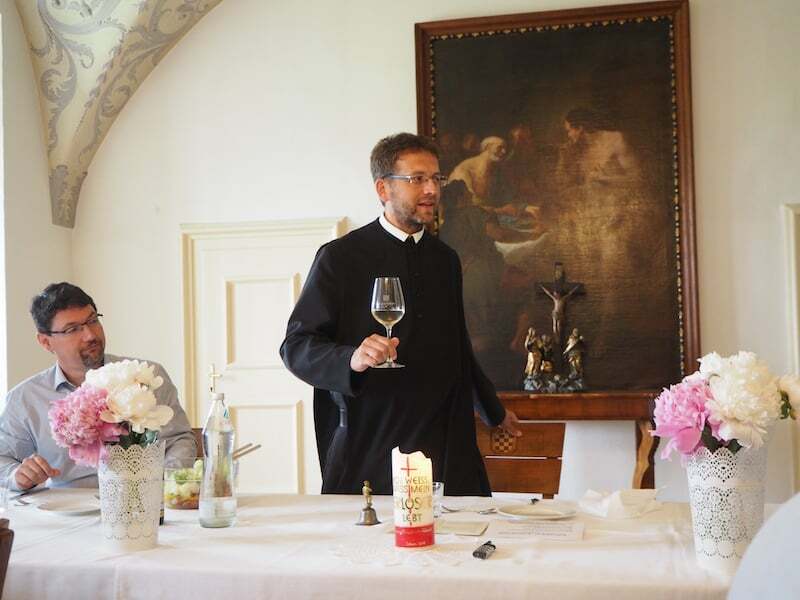 If there is one thing I have learned from becoming a temporary guest at either of the Austrian monasteries, grouped in an association called “Klösterreich“, then it is that all monasteries, abbeys and convents we have ever visited are alive with welcome, openness, and dialogue with visitors. Check this out. 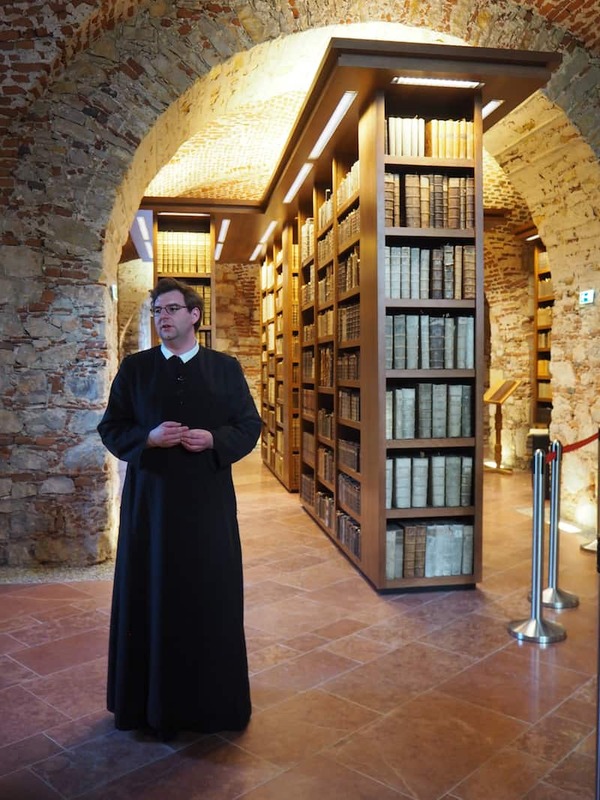 Taking a peek behind the scenes of a Benedictine Abbey, being led through the herbal garden, joining the monks in prayer, visiting their library (including the oldest book of Austria, 1500 years old! 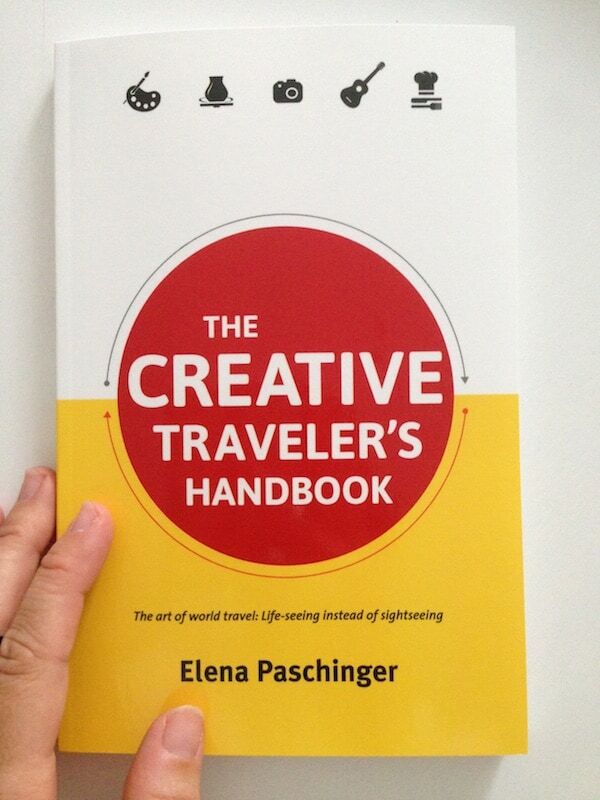 ), is a true cultural journey of a kind. 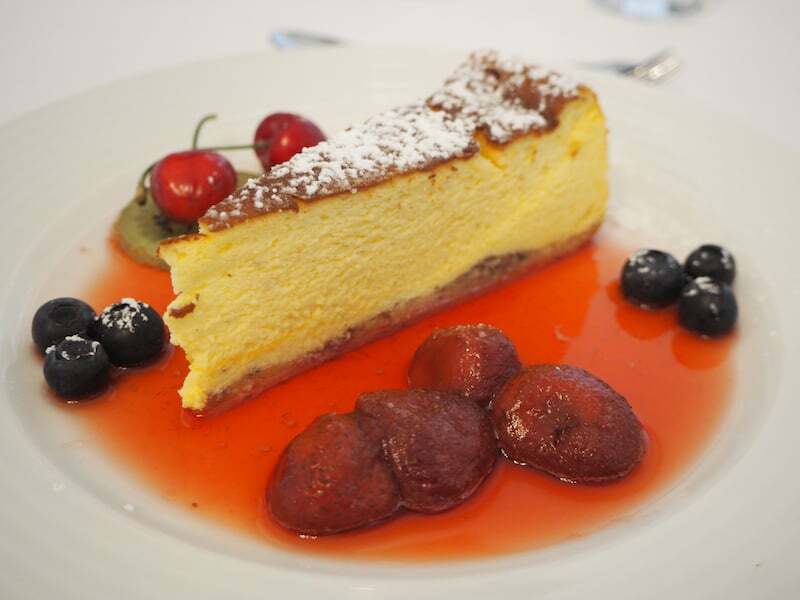 … enjoying the food given in a three-course meal upon arrival: A really nice welcome I’d say! … and each comes with a large bathroom, plus another separate bedroom on top! 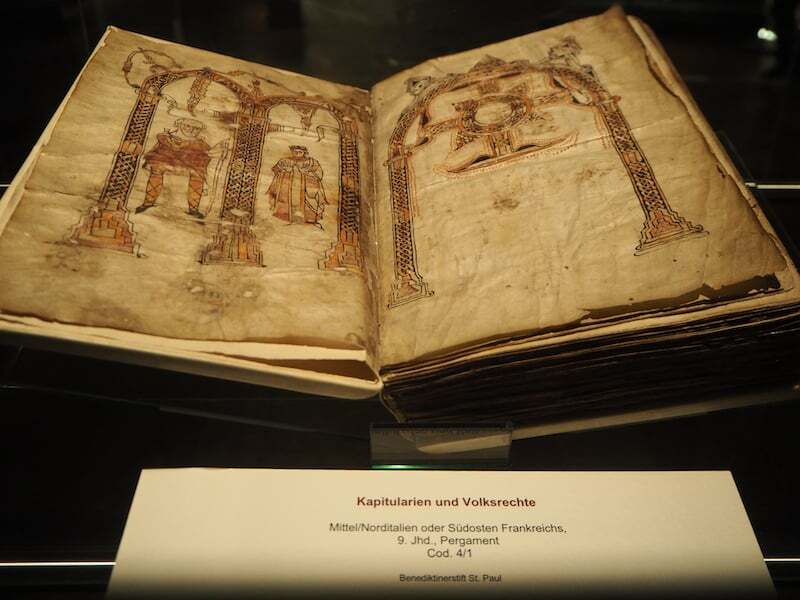 … home to some of the oldest books of Austria, a true treat for a book worm like me! And did you know that one Frater even made it to becoming a honey, brandy, vinegar and other herbal oils producer?! Definitely worth shopping at the monastery shop before you leave! … we already look forward to our next visit here! 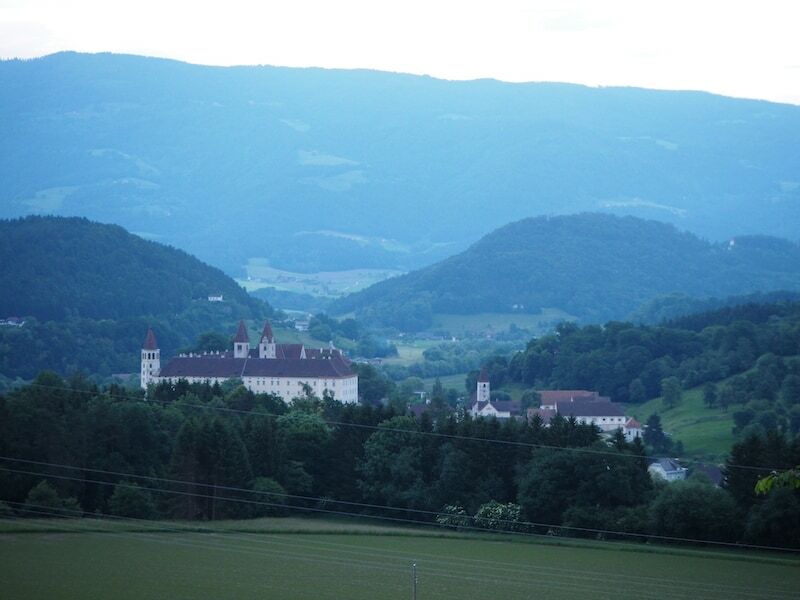 Our monastery journey continues, though, with a visit of Wernberg Monastery near Villach, surprising us to the lovely community of nuns who manage and run their own agricultural business, among others: Read more about Wernberg Monastery here. 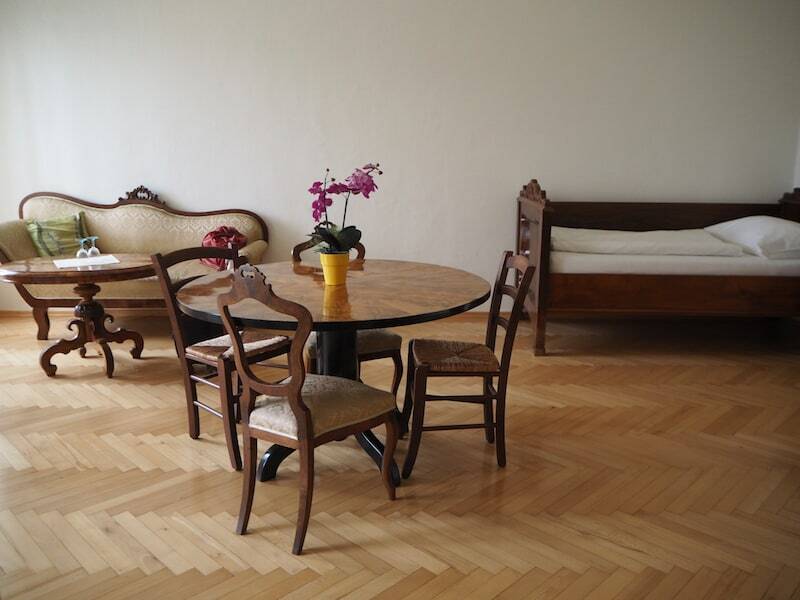 Monika & Petar Fuchs, who post on TravelWorldOnline.de, have also shared about their “monastery retreat” here (including videos!). Disclaimer: We have been invited by “Klösterreich” to explore the Austrian monasteries in Carinthia. All opinions are my own. Exploring the #NationalparksAustria over a hiking & "e-biking" trip through Thayatal National Park. 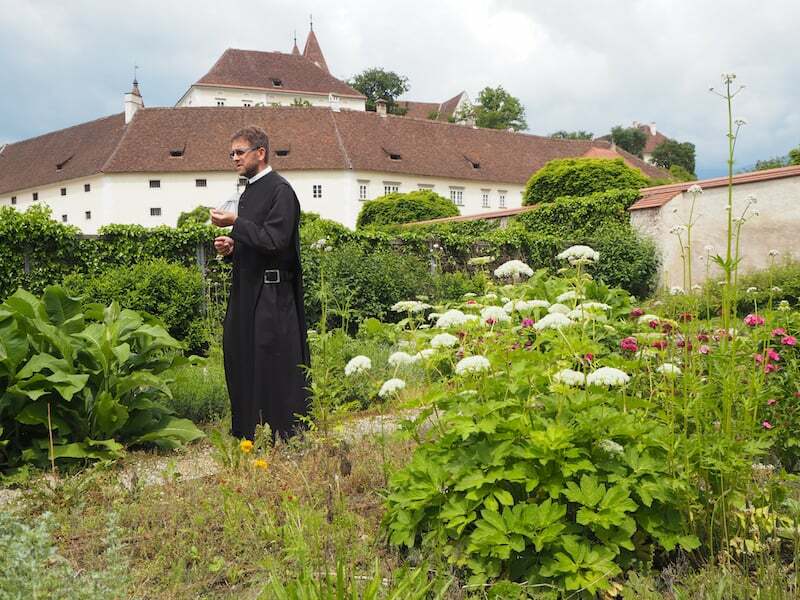 A spiritual type of travel in Carinthia: Wernberg Monastery and its herbal garden paradise.